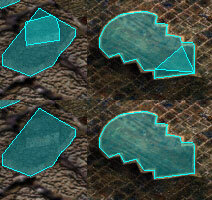 Two areas had overlapping containers, shown in the top two images. In the first case the container was moved to another part of the area. In the other case, being as the container was empty, it was simply removed.